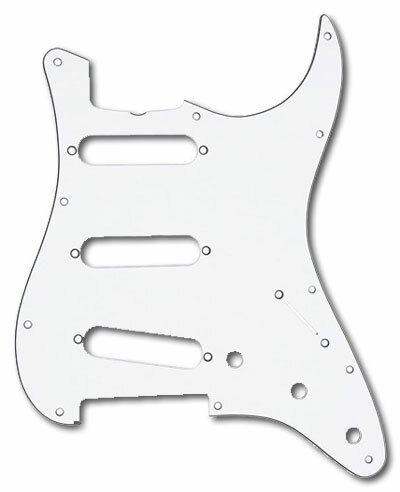 Genuine Fender® '62 Vintage Stratocaster® White, 3-ply, 11-hole replacement pickguard for 3 single-coil pickups. Fits '62 American Vintage Stratocasters and '60s Stratocasters. Has truss rod adjustment notch. This pickguard does not have any shielding as it comes to us from Fender, you should consider including item # 001-9699-049 to your order to fully shield your pickguard.